Orthotics are devices worn in your shoes that provide correction to your feet, helping them function more efficiently. 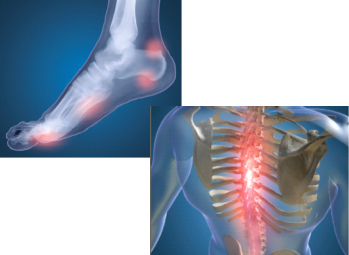 Poor foot function and alignment may be the cause of various pains such as foot pain, hip pain, knee pain and back pain. They are used by almost all athletes, from the recreational level to top professionals. 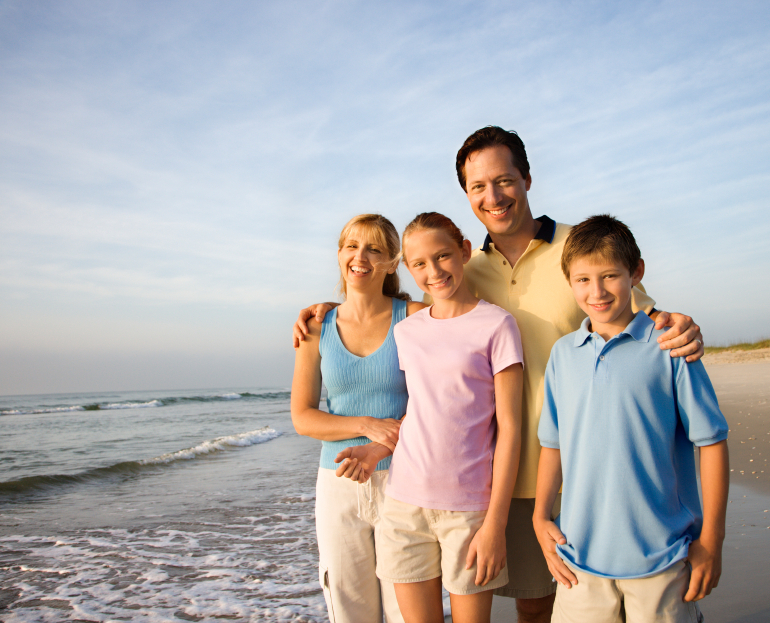 Additionally, orthotics are worn by everyday people simply looking for comfort in their shoes. Your feet are a complex system of 52 bones, 66 joint, 214 ligaments and 38 tendons and muscles. Even the smallest imbalance in your feet can cause pain. Left untreated, chronic foot pain can prevent you from leading the active lifestyle you desire. Orthotics are commonly prescribed to help with hammer toes, heel spurs, metatarsal problems, bunions, diabetic ulcerations and numerous other problems. They also help to minimize shin splints, back pain and strain on joints and ligaments. 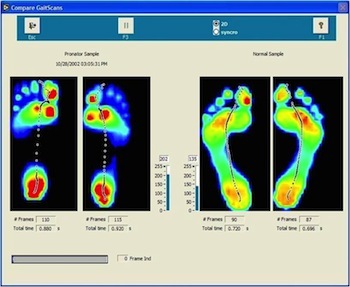 Why is Foot Analysis Important? 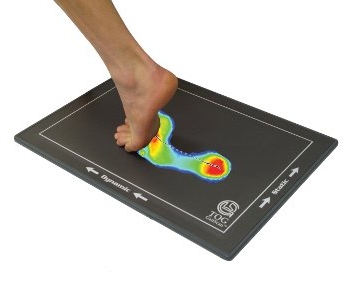 The TOG system records your timing sequences during gait as you walk or run across the pressure plate. 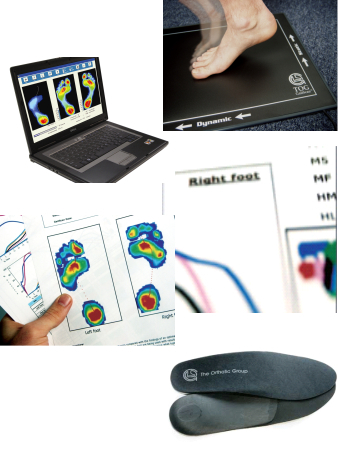 This enables your practitioner to have a clear picture of your foot mechanics and determine whether you would benefit from wearing custom made foot orthotics. 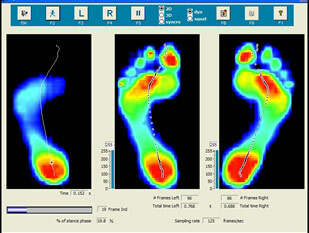 How Does the Foot Analysis System Work? 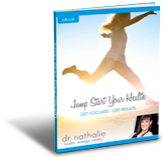 The information is then summarized in a report that can be printed for you and your healthcare practitioner to see. The report findings will help your practitioner evaluate your foot function and determine if the pain you are experiencing is related to faulty foot function. When it is determined that you will benefit from orthotic therapy your information is then securely to The Orthotic Group laboratory. From there, your custom made orthotics are manufactured specifically for your feet. 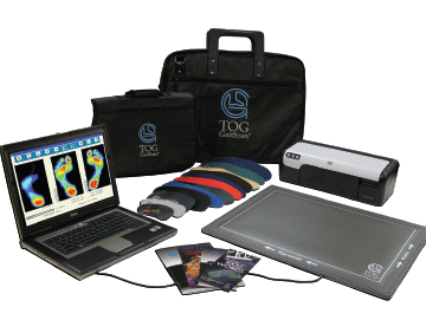 Ask us how to get your COMPLIMENTARY FREE TOG foot analysis system!